It’s amazing how the stars have been aligning lately. 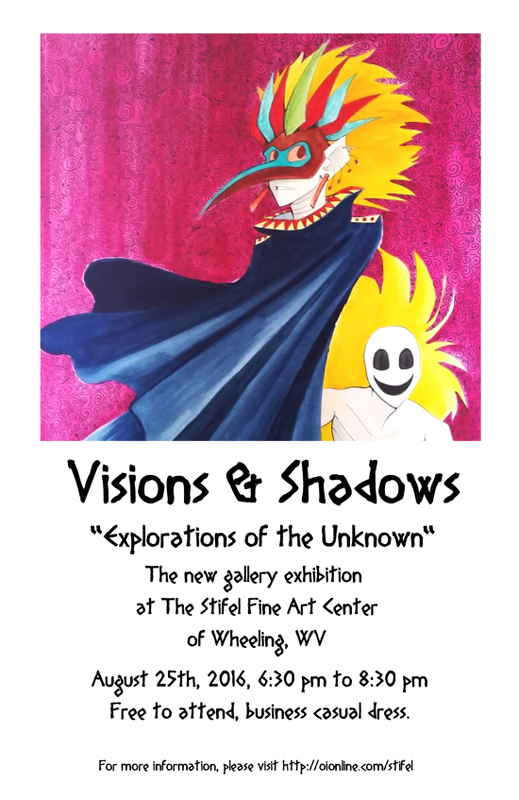 “The Voice & The Messenger” is going to be hanging in the new show at the Stifel Fine Art Center of Wheeling, WV, “Visions & Shadows.” It’s a gallery exhibition showcasing “the artists’ exploration of the unknown,” and features lots of cool work, like sculpted heads and collages. It’s as much an exploration of artistic medium as it is of subject matter. The show is August 25th (the day after my birthday!) from 6:30 pm to 8:30 pm. It’s free to attend, but since it IS a gallery show, dress nicely – no suits, but more like business casual. If you can make it, sweet! If you can’t, leave a comment to wish a happy birthday anyway. 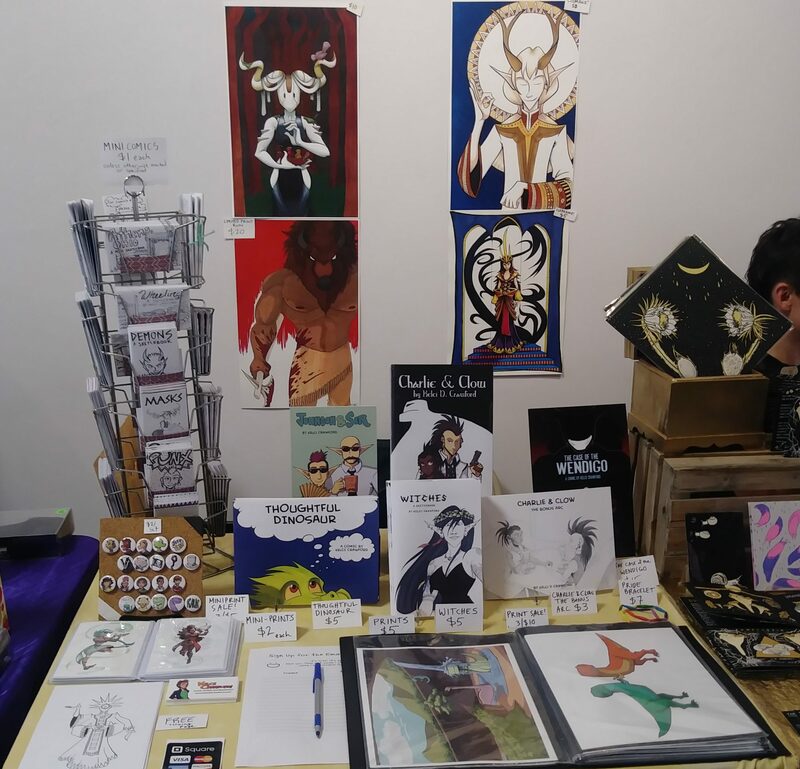 Previous PostPrevious “The Voice & The Messenger” Will Be In A Gallery!